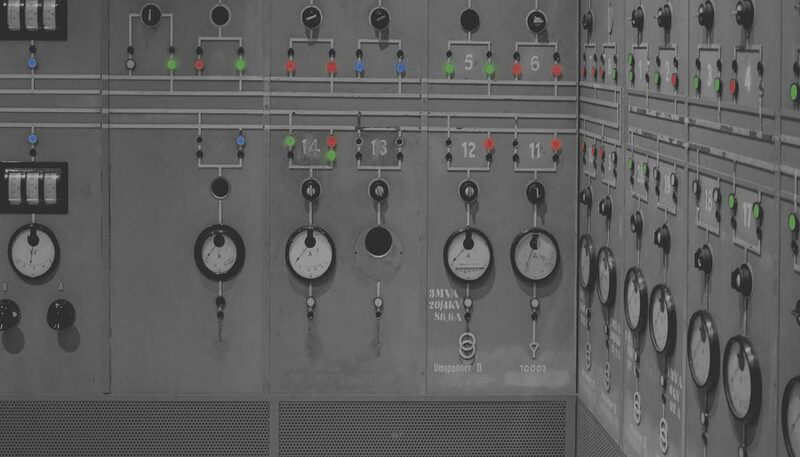 Home » Blog » Inside Vertical Leap: What goes on behind the PPC metrics? 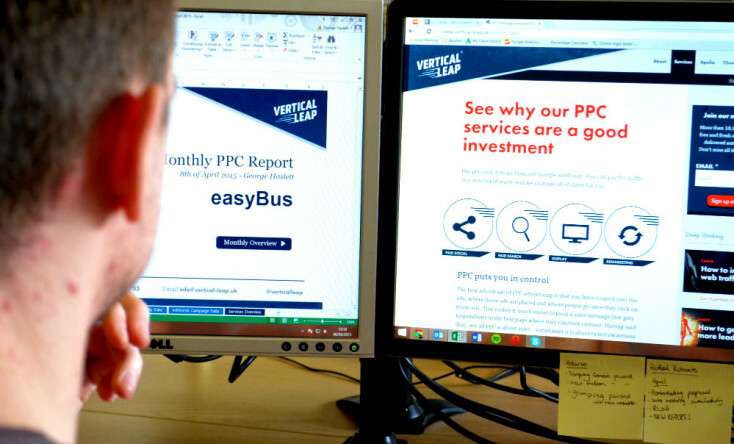 There’s a good reason why we in the PPC team love PPC – we have so much control over what we do, and there’s always room for improvement. I’m James, and I manage our team of remarkable paid search experts here at Vertical Leap. I wanted to share with you a few of the complexities involved with successful PPC campaign management. As specialists we are always improving our customers’ campaigns. It’s natural to look at figures in black and white without a thought for the hundreds of everyday contributing factors hidden behind them. It’s the combination of so many elements that result in that single monthly metric. What’s actually involved in driving those 12,734 clicks a client achieved in the past month? Where did they come from? It quickly gets pretty darn complicated behind the scenes of PPC, but that’s why we’re here to help make sense of all our clients’ data. Did PPC drive these 12,000 clicks and, if so, how? 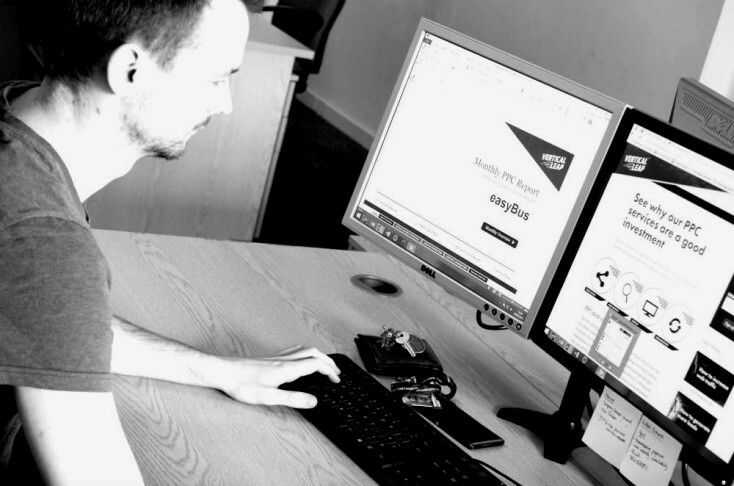 I like to be involved in all our PPC campaigns from the outset to ensure we understand your objectives and deliver campaigns according to our processes. This early interaction helps me input my years of experience into strategy and approach, so we address quick wins and prioritise crucial aspects of the campaign, first. 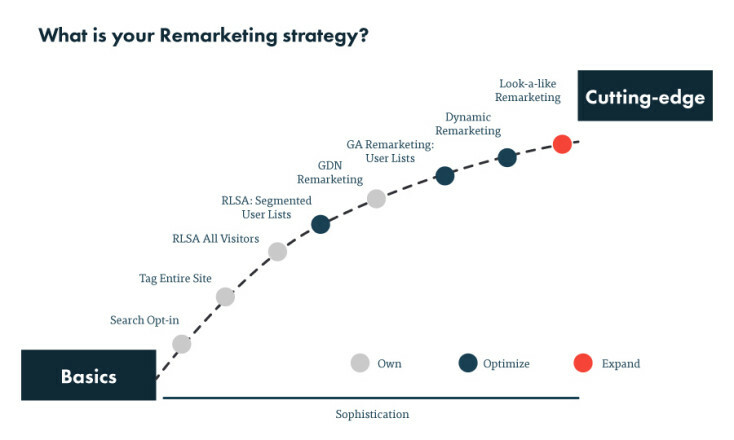 Adopting the right strategy for PPC is vital, it’s probably not an exaggeration to say that every campaign we’ve ever managed differs. Campaigns and company objectives are always at different stages of evolution, as are their markets, products and services. Using Google AdWords and the ever increasing toolset of paid advertising features, we devise strategies to fit specific circumstances. The first part of each day focuses solely on budget checks. Our in-house tool allows us to review the previous day’s level of spend. We also collect monthly data and join this with agreed campaign budgets. These figures then allow us to forecast budget for the remainder of the month. We can keep an eye on whether we’re going to go over-budget or under-budget in the coming months too. Fundamental housekeeping tasks such as budget checks ensure campaigns progress through the month in line with customer objectives, which vary depending on campaign. A focus on ROI is key; investing as much as possible in profitable campaigns maximises return, reach and volume. Our daily checks ensure we are maximising potential whilst working within agreed limits. One example of this would be a large ecommerce company where PPC not only drives online sales revenue, but also a high volume of phone calls. Knowing how much we invested yesterday in PPC is just one metric; one piece of data – we need to know how traffic is trending over time, how much revenue and how many phone calls we drove. 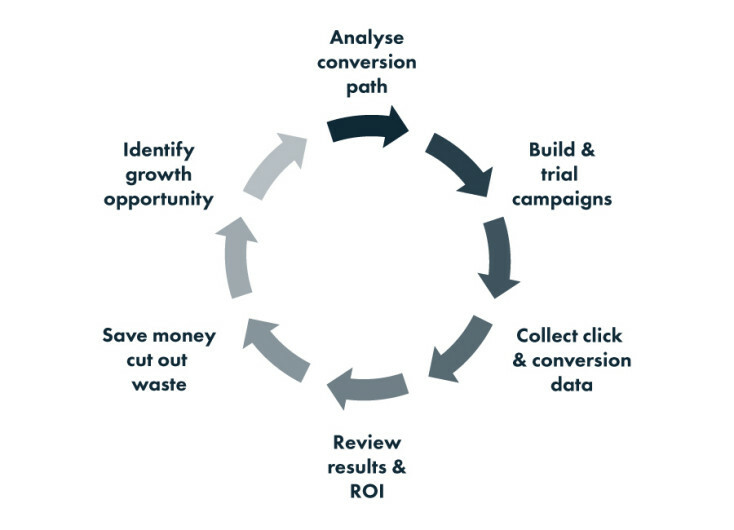 PPC campaigns never sit still, they’re always changing, evolving and improving. Our deep data platform Apollo Insights helps us achieve growth by collating ‘words’ data from all major sources to create a holistic view which isn’t available anywhere else. Combining SEO, PPC and competitor data, we create a client-centric strategy. PPC isn’t about quick wins though; you have to wait it out. One example of an account where patience resulted in incredible results, belonged to an ecommerce client. We managed this account over a period of eight months and by the end, PPC revenue had increased by 440 per cent, whilst overall site revenue rose 152 per cent. This cycle nicely represents the ongoing daily battle and efforts required to improve the quality and return. Google invites the PPC team up to its London headquarters each quarter for direct insight into the latest AdWords opportunities and features. As Google Partners, this is a fantastic session with our dedicated Google account management team, who provide a huge benefit to our customer accounts. Our contacts assist with strategic planning and growth initiatives, research and industry insights, product training and account review, and so much more. One of the most recent great opportunities which came from this partnership was around the continued explosive growth of mobile phones. Currently, not many businesses create great mobile ads, meaning they are missing out on a lot of valuable traffic. As soon as we returned from Google HQ, we started to test out our new mobile ads. If we can successfully tap into half this traffic at an affordable cost per action (CPA), this could boost traffic volumes within our accounts by 20%. In addition to the expertise we continually develop externally with Google, we also share our knowledge with the other specialists within VL. Our regular internal sessions allow us to bring everyone up to speed with opportunities to grow our campaigns, discuss new features and show the great results we’ve had. One of the latest discussions we had was about an awesome new way to analyse Google Shopping performance and push for even higher ROI – a trick we can use across all our ecommerce accounts. This knowledge sharing is a great way to show other specialists how PPC can improve their client’s performance. In return, they can aid whenever we need to update a landing page or require a piece of content. Of course, Apollo helps us share what we’re up to too, not only with other specialists, but with you. At any time, you can log in to Apollo and see your WorkStream feed, which shows you messages left by everyone working on your campaign. It allows us to provide you with complete transparency about what we’re doing and the work we’ve done. PPC grows in complexity every day, so it really isn’t wise to leave your accounts to their own devices. As we’ve hopefully shown you, PPC requires constant refinement, patience and the necessary expertise to be successful. We work hard to provide all that and more, and we hope that you agree! In this article, we discuss three really useful sources that you might not be aware of that provide keyword and search term data.